Thousands of drivers pass the Capitol West building off I-84 in Hartford everyday and those who live near the dilapidated building say it’s an eyesore. The windows are missing, graffiti covers much of the exterior and there’s trash, both inside and out. The city is now trying to take the property through eminent domain to demolish it and redevelop the land. The city had discussed buying the building for $1 million, but talks broke down. “I’m afraid something is going to fall off it. I walk by it every day and it’s just decrepit,” Josh LaPorte, of Hartford, said. During a public hearing on Monday night, residents spoke for and against the city taking the property through eminent domain. 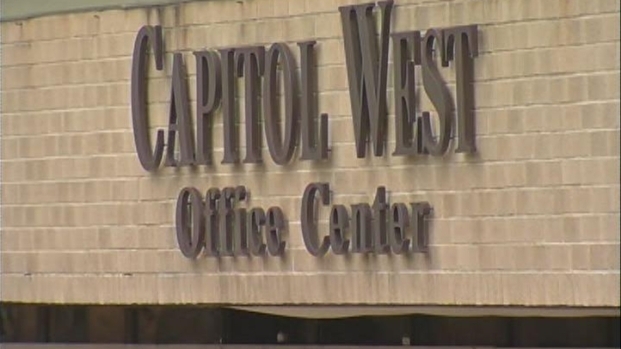 The city of Hartford holds a hearing on what to do with the rundown Capitol West Building. “Why does the city feel the need to acquire it? When I was building official we demolished buildings practically on daily basis without owning the building,” Joseph Hughes, of Hartford, said. Some worry eminent domain will end up costing the city money it doesn’t have. “I just think this is a lose-lose proposition for the city of Hartford. Eminent domain is viewed so negatively and poorly. All I see is a huge court battle that we can not afford in front of us,” Alissa Peterson said. An attorney for the property owner said the building is not blighted by city standards and will eventually be turned into residential properties when the economy turns around. “The owners replaced the entire roof and also made asbestos abatement and removal to the entirety of property. That’s why the windows have been removed because of the abatement and that cost over $1.25 million,” Lisa Zaccardelli, of Coleman Levy, said. The city council will vote on whether to enforce eminent domain at a meeting next Monday, April 25th.